The first teaser and poster for 'Neighborhood Watch' have hit the internet, and with them come all of our hopes and dreams for Akiva Schaffer's ('Hot Rod') latest directorial effort. Scripted by Seth Rogen and Evan Goldberg ('Superbad'), 'Neighborhood Watch' follows a group of suburban dads as they take on the responsibility of, you guessed it, neighborhood watch. The teaser features Ben Stiller, Jonah Hill, Vince Vaughn and Richard Ayoade as our titular group of heroes on the prowl for unsavory neighborhood shenanigans. The plot thickens when they uncover some legitimate criminal activity, but we're sold based on that rad tiger car decal alone. 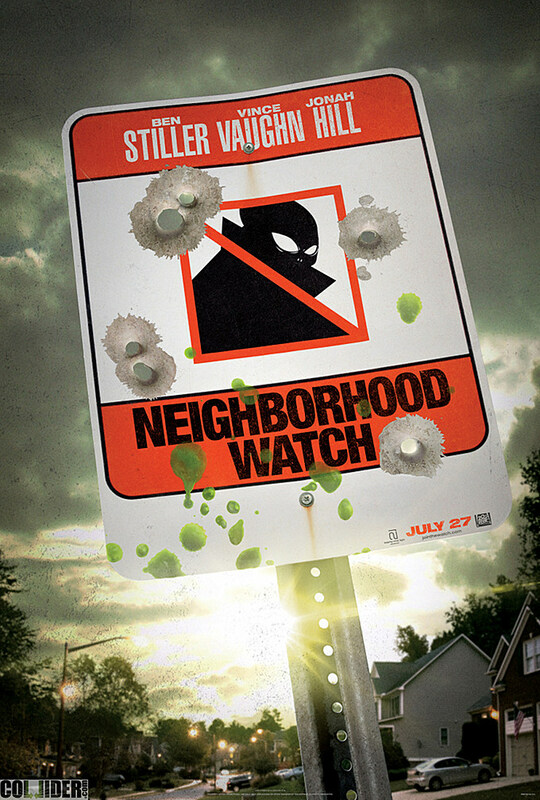 'Neighborhood Watch' also stars Billy Crudup and will patrol theaters near you on July 27th. Scroll past the video for the poster.